Kung-fu marketing at its best. 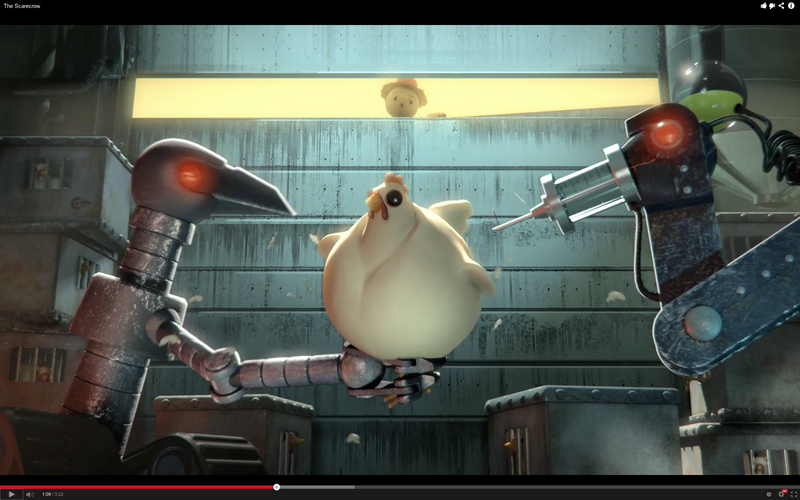 Chipotle is using the stealth of the advertising world to turn corporate farming upside down. The ‘Scarecrow’ is an experiential ad campaign that includes a free iOs game where players get to ‘cultivate a better world’. The game is being promoted using a 3-minute movie trailer that exposes the evils of factory farming and, more specifically, GMO foods. Occupy the Market – How Green Entrepreneurship Make Multinational Corporations and Their Governments Obsolete.